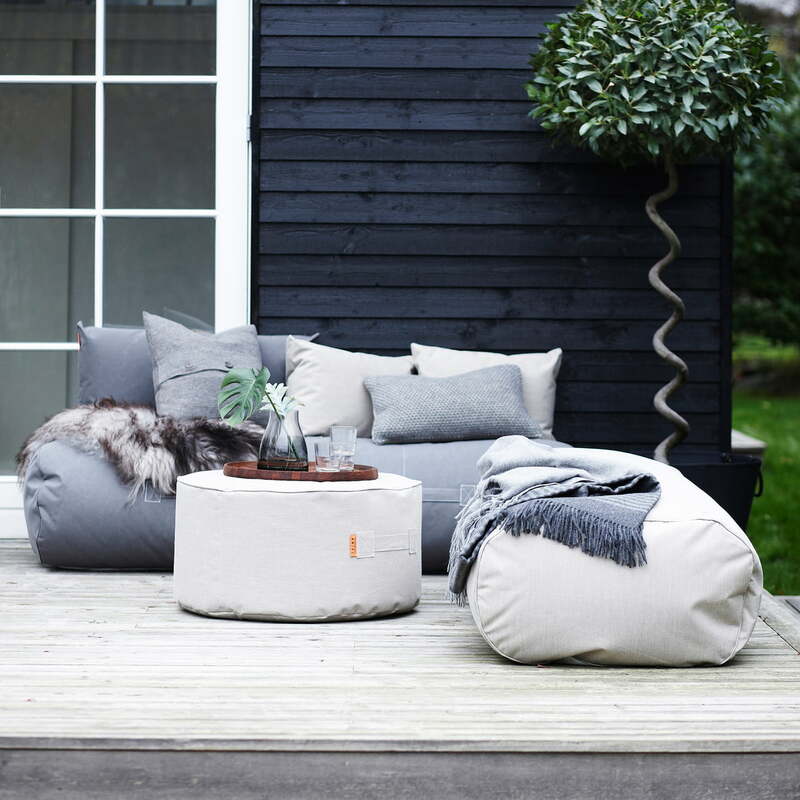 The Full Moon Pouf by Trimm Copenhagen is a universal genius for inside and outside. 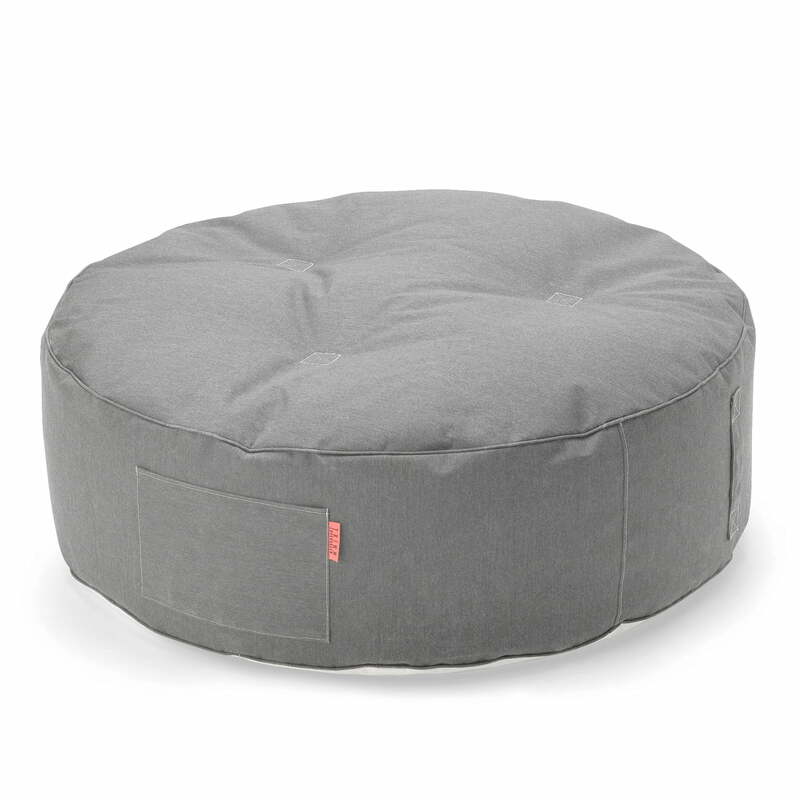 The textile pouf can be used as comfortable stool or footrest with its big diameter of 115 cm, or even as side table in the garden and the living room. 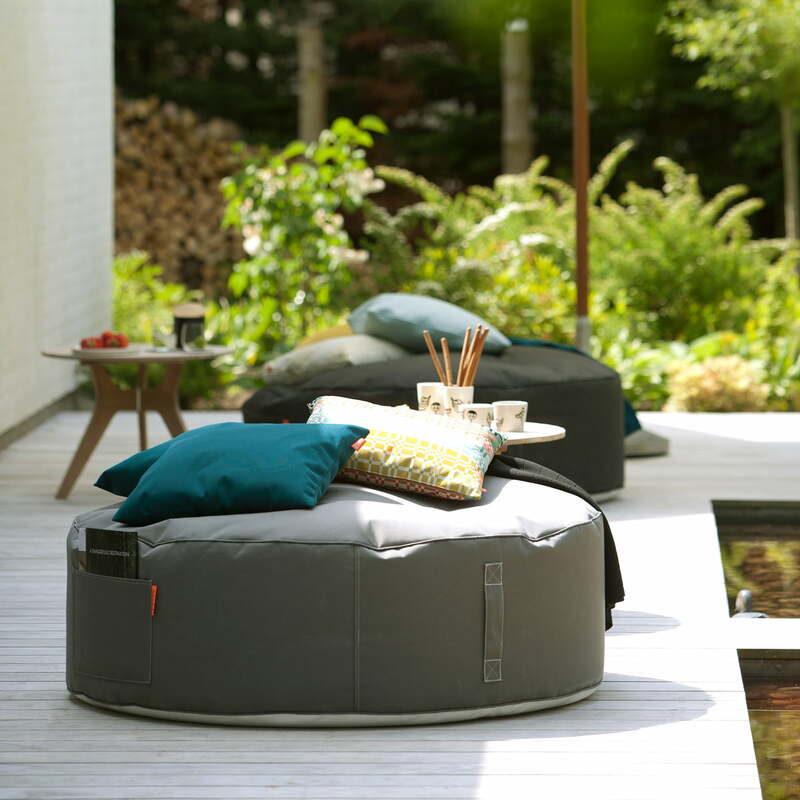 The coated Sunbrella® cover makes the Fill Moon Pouf also suitable to be used outside. 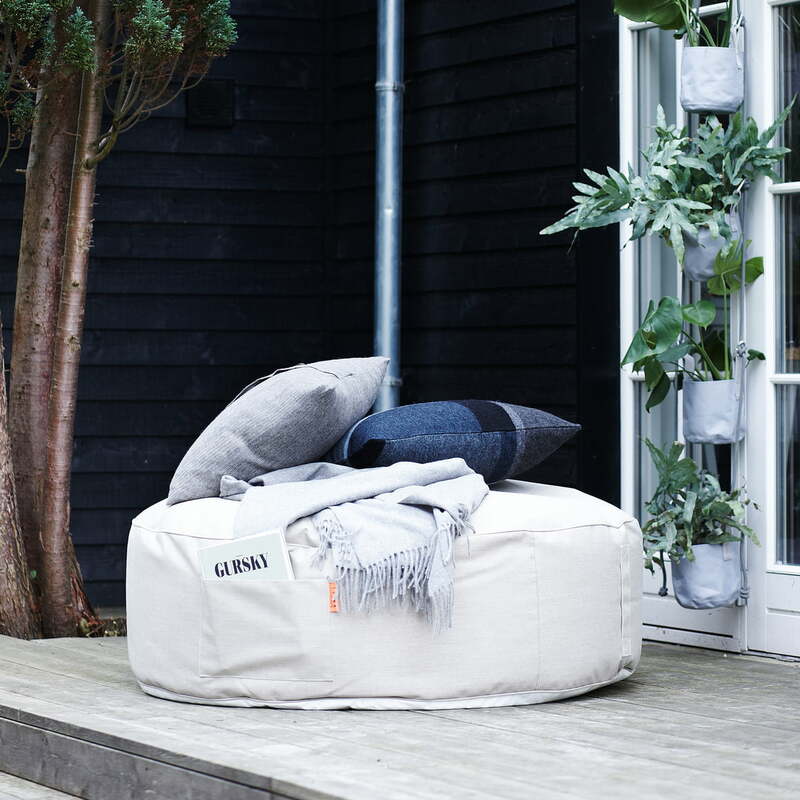 The fabric is water repellent and UV resistant, which is the reason why the textile seat will look gorgeous in the garden or on the balcony when the sun is shining. It is an ideal companion if you want to sit on it or lay your feet on int. 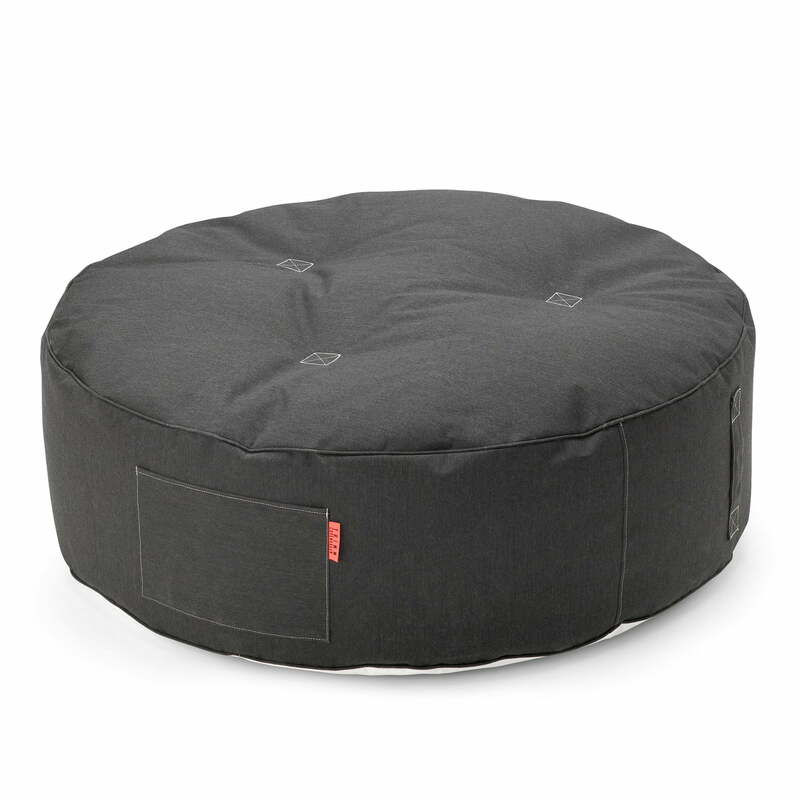 The practical pockets of the Full Moon pouf will hold your books, magazines and mobile phones for you, by the way. Dirt can be removed with soap.